House Cleaning Service In Westerhope Jarrow Cleadon Throckley Gateshead. 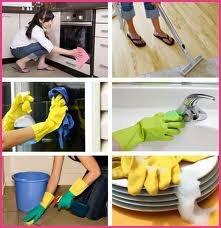 Sophie’s Westerhope house cleaning services offers professional domestic home cleaning services near you. Our cleaning company undertake all aspects of housekeeping and cleaning of residential homes. Call us now for prices and a quick free quote. Westerhope home clean case study. If you’re looking for a full clean of your home, then you’ve come to the right place. And that was just what Mr and Mrs H. wanted when they rang us one September morning. As usual we took a full brief over the phone. The clients, who were new to us, gave us a full list of all the work they wanted done. We were able to give them an estimate there and then for the full cleaning of their large country property which featured six bedrooms, two receptions and three bathrooms. Their beautiful home was located a few miles from the city in lovely countryside. Once we’d agreed the estimate we were able to set a day that was convenient for them. As this was rather a large property and they wanted a 100 percent thorough clean, we’d told them that three members of our staff would be on the job and it would take us two full days to do the work. On the first day we arrived at the house at 8.30 am, the time the client had stipulated. We’re always prepared to fit in with the client’s needs and for this particular job we’d been given the start time and they’d also asked that we finish by 5 pm on each of the two days. We started off with a complete survey of the property to plan our work in the most efficient way. We paid particular attention to the kitchen, making sure all the cupboards were emptied out, cleaned and then reassembled. We got the kitchen floor gleaming and cleaned the cooker and double sink. In the bedrooms we got under all the beds while in the receptions all the furniture was moved to make sure that no dusty corners were missed. On the second day we completed all bathrooms and started with the tiles and cleaning in between each tile individually to ensure the grout was immaculate. The bathrooms didn’t have extractor fans to air the bathrooms out therefore there was quite a lot of mould around. After completing we had gave the couple a complete makeover and before the clean they where actually thinking about replacing one of their bathrooms but now no longer needed to. We’d actually managed to get a bit ahead of ourselves and finished the job by 3 pm. The clients were extremely pleased with our work. And that’s what we like best – happy clients!